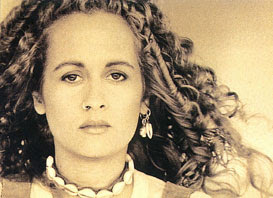 Teena Marie, one of my favorite artists in the world, just completed an interview with The Advocate where she talked about being embraced by black audiences, her gay & lesbian following, and Rick James. Not long ago I did my list of the Blue Eyed Soul’s Top Ten Females and there should be no surprise that Teena topped the list. This year marks 30 years for Teena in the music industry. And she will celebrate by dropping a CD on June 9 titled Congo Squared. I can't wait. I've been impressed by everything Teena's ever done. She has been pioneer in the industry for all three decades. My favorite question from the interview - You are also loved by the gay and lesbian community. When did you first realize you had a gay following? And Teena's answer - I'm just happy that I have any following! [Laughs] I don't think I necessarily think about which following or that following. It's really obvious to me when people come up to me that they just love the music. Gay people love to dance, sing -- they're just like everybody else as far as emotions. I have to say to Teena, I'm just a sucka for your love. When your new CD comes out trust that I'll be one of the first to have it. Please continue to make great music.